Afghanistan's ambassador to Canada says criticism of his president by Canada's ambassador to Afghanistan should not affect relations between the two countries. Criticism of Afghan President Hamid Karzai by Canada's ambassador to Afghanistan should not affect relations between the two countries, Afghanistan's ambassador to Canada said Thursday. "Diplomats in Kabul quite often have fallen in traps of some common misperceptions," Jawed Ludin said in an interview with CBC News. "Relations between Canada and Afghanistan go beyond people, and my expectation is that they should be not affected in any way by this," Ludin said. 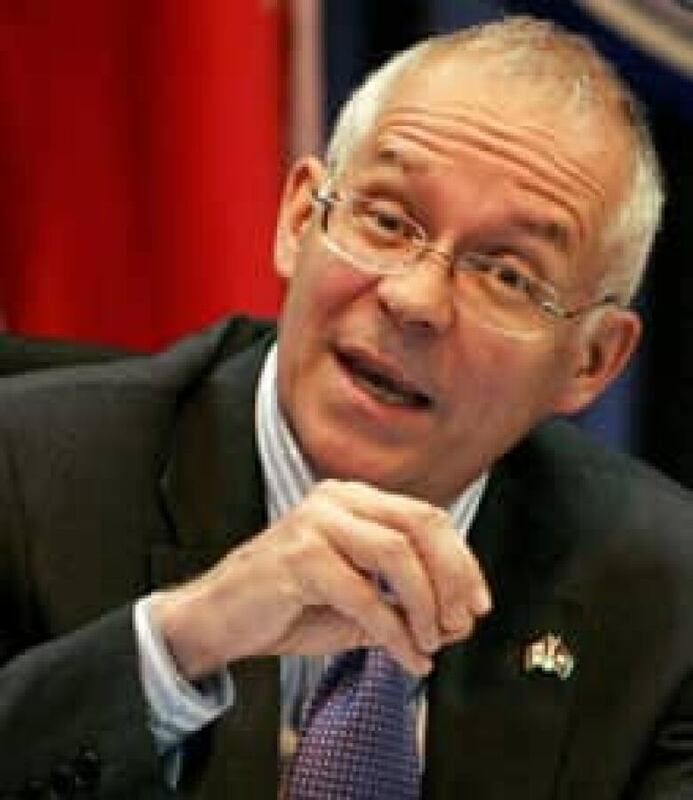 Ludin's comments follow revelations Wednesday that William Crosbie, Canada's ambassador to Afghanistan, had offered to resign prior to the release by WikiLeaks of a secret U.S. diplomatic memo in which he criticizes Karzai and his government, according to reports. The memo in question, dated Feb. 23, 2010, describes a meeting Crosbie had with Karl Eikenberry, the U.S. ambassador to Afghanistan, in Kabul on Feb. 20, shortly after Karzai sought to increase his power over Afghanistan's electoral watchdog. "In a frank discussion, Canadian ambassador Crosbie explained to ambassador Eikenberry that getting the electoral process right is a bottom-line position for Canada, and said we must be prepared for confrontation with Karzai on this issue, or risk losing credibility among our own population if we go along with a rigged election," said the memo. "Ambassador Crosbie told the ambassador that getting this right is a bottom line issue for the Canadians. He was emotional, saying the issue 'makes my blood boil,' as he described the Canadian view that the international community must stand up for the silent majority or be blamed for letting Karzai and his family establish across the country the system of patronage and control that exists in Kandahar. "We must be prepared for confrontation with Karzai on this issue, he said, or risk losing credibility among our own population if we go along with a rigged election. He argued that a new generation of Afghans is working to run for Parliament and they are watching to see if the electoral changes will happen. 'We can't be seen to collude with it,' he said. He argued that we need to give the Afghans looking to make a difference space to speak out and be able to turn the course of their country." Crosbie tendered his resignation in a diplomatic note to Ottawa, according to the Globe and Mail and National Post, each of which obtained a copy of the note. "My words about [Afghan President Hamid] Karzai and the influence of his family may attract attention, and they will be damaging for our relations with him and his government if they do so," Crosbie reportedly wrote. "If my own comments become the focus of attention … then consideration should be given to replacing me so that the bilateral relationship is not unduly affected," he wrote, according to the National Post. Foreign Affairs has confirmed to CBC News that RCMP are investigating the leak of Crosbie's offer to resign. Crosbie wrote the note following a briefing by Eikenberry on Saturday. In the briefing, Eikenberry warned the release by WikiLeaks of thousands of embassy cables referring to Afghanistan could produce a "potentially cataclysmic fallout." The memo is one of more than 250,000 documents, obtained by WikiLeaks, that reveal the candid inner workings of U.S. diplomacy. Many of the documents provide frank and often unflattering assessments of foreign officials. Approximately 2,000 of the documents are believed to have originated in Canada.